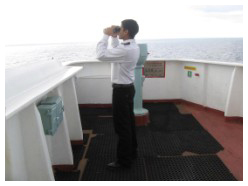 A young deck cadet joining ship for the first time is a raw youth of tender age, impressionable, immature but exuberant and full of enthusiasm to learn. This raw material needs to be moulded into a good and responsible officer of tomorrow. This course introduces him to Anglo- Eastern's policies, organization structure, its work practices and above all, its culture. Know Anglo -Eastern's various policies organization structure, its work ethics and safety culture. To appreciate the high standards of safety to be followed on board. Be able to refer to the company manuals and the Code of Safe Working Practice (COSWP), prior commencing work and carry it out step-bystep as detailed in the procedures. 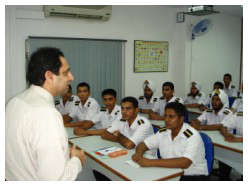 Be fully aware of the requirement of Shipboard Structured Training Program. AESM standards with regards to safety and performance. STCW 95, ISM Code, ISPS requirements. Work ethics and safety Culture. Interpersonal conduct with officers and ratings. Occupational Hazards and safe Working Practices (COSWP). Bridge and Port Watch keeping. Shipboard Structured Training Program (SSTP).